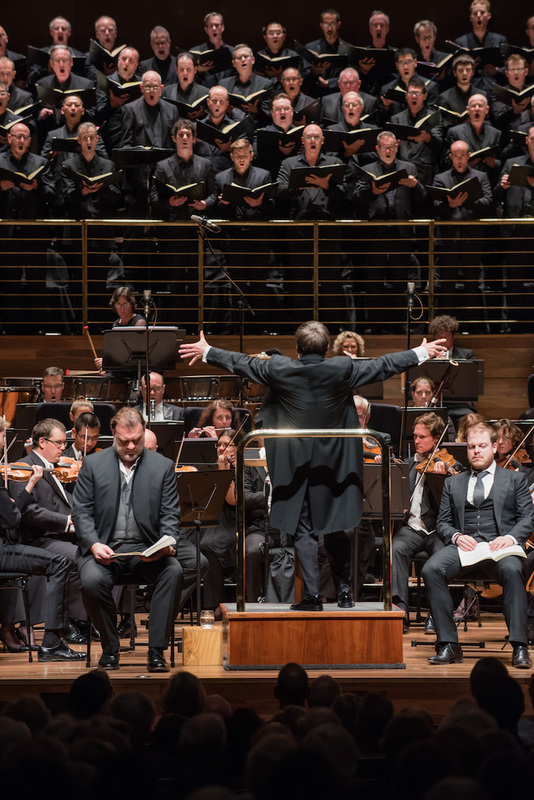 MSO presents a lustrous performance of Berlioz’s The Damnation of Faust, in which the superb orchestra, soloists and choirs create a whole that is greater than the not inconsiderable sum of its parts. The mighty MSO, international soloists, and a choir more than 100 strong combined to bathe Hamer Hall in a shimmer of glorious music. Best heard as a concert, but rarely heard at all in Australia, The Damnation of Faust is two concentrated hours of rapturous music in which each melodic invention is more beautiful than the last. In the opening minutes, as Faust sings of the beauty of spring, the music is so evocative that it takes several minutes to realise that there are no surtitles. Softly illuminated house lights allow the excellent program notes to be referenced during the concert, and the clarity of musical expression does the rest. Berlioz’s extraordinary music gives the orchestra has manifold opportunities to demonstrate its supple versatility, as the score charts its way through prayers, military parades, drinking songs and romantic arias and duets. The orchestra shines throughout, but none more so than in various musical interludes such as the charming “Dance of Sylphs” in part two and the frenzied “the Ride to the Abyss” in the final stretch of part four. Maestro Sir Andrew Davis channels his passion for the score into coaxing the loveliest of playing from the musicians, particularly in pianissimo phrases. Davis’ extensive knowledge of the music allows him to bring out the full colour and richness of Berlioz’s concepts. Davis’ utter confidence with the tempi and the range of styles facilitates seamless transitions within each of the four “parts” of the opera. Each of the first three parts builds to a big finish, and Davis ensures that soloists, choir and orchestra are perfectly balanced, with each aspect of the complex music blending to a distinct yet impeccably cohesive whole. While Bryn Terfel is the big name drawcard to this event, English tenor Andrew Staples proves an absolute revelation as Faust. Staples lovingly caresses the French lyrics, demonstrating wonderful phrasing and diction along the way. His tireless tenor has a sweet purity that is an absolute pleasure to hear. The strength of his sound comes from faultless support of breath, completely avoiding any tendency of the kind of high volume that verges toward shouting. In the absence of a director for the concert, Staples still manages a good amount of interaction with his colleagues so as to enhance the storytelling. His rendition of “Invocation to nature” is a highlight of the evening. Charismatic bass-baritone Terfel is in his element as the mischievous Méphistophélès, a character whose wily charm masks his sinister malevolence. Terfel sings the role with effortless flair, deftly switching from lively pieces such as “Song of the flea” to more sonorous and seductive music such as “Here are roses.” Terfel presents as a top class artist who is not only in full control of his talent but also conveys an infectious thrill in his love of performing. As part three reaches its finale, Faust and Marguerite’s duet expands to a trio with Méphistophélès, and when the choirs join in as well, the effect is absolutely thrilling. The Melbourne Symphony Orchestra Chorus is joined by Men of the Sydney Philharmonia Choirs to create a vast massed chorus. MSO Chorus master Jonathan Grieves-Smith and Sydney Philharmonia Choirs music director Brett Weymark have clearly made excellent preparation with their singers, particularly with French enunciation. The chorus certainly has no difficulty in singing the roles of angels. Speaking of angels, Melbourne mezzo Dimity Shepherd has a heavenly cameo in the final moments of the night. Surtitles may have aided audience accessibility, and the soloists definitely needed music stands, but these are the smallest of quibbles after a glorious evening of world-class music. 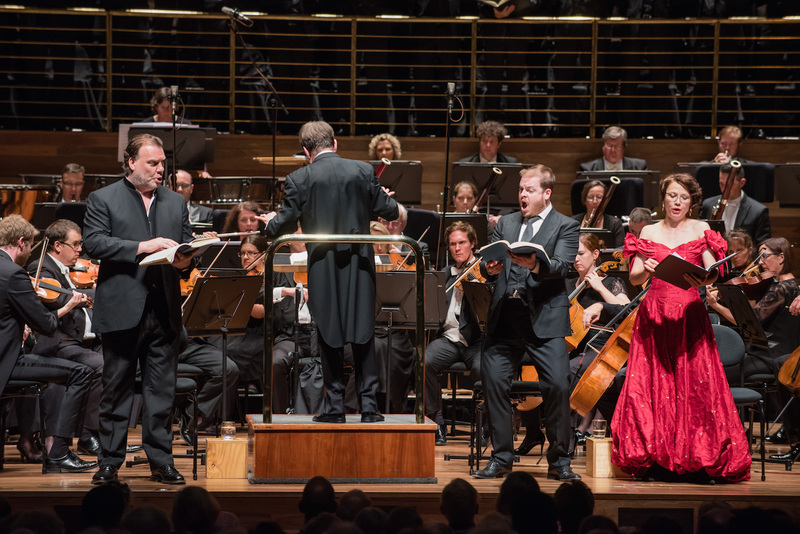 MSO presents The Damnation of Faust once more at Hamer Hall, Arts Centre Melbourne at 8pm on Saturday 21 March 2015. The performance will be broadcast live on ABC Classic FM. The The Damnation of Faust program can be read online. 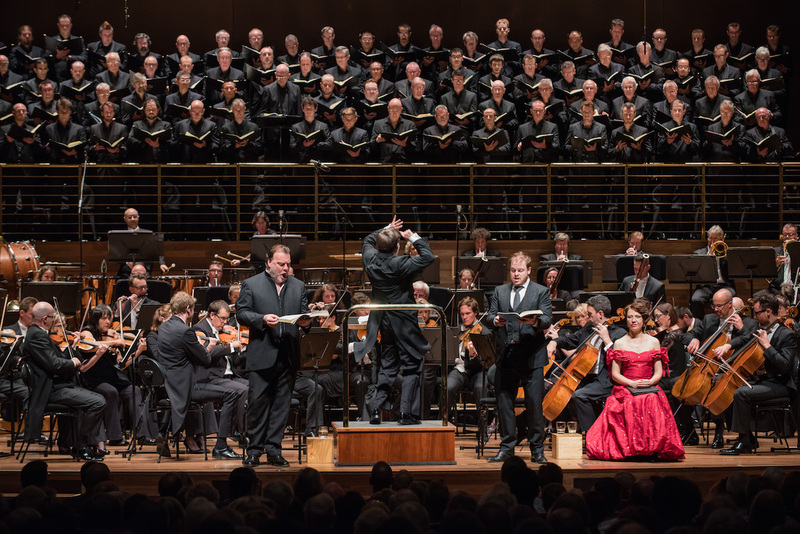 Man in Chair reviewed Bryn Terfel and Lisa McCune in MSO’s Broadway Classics.